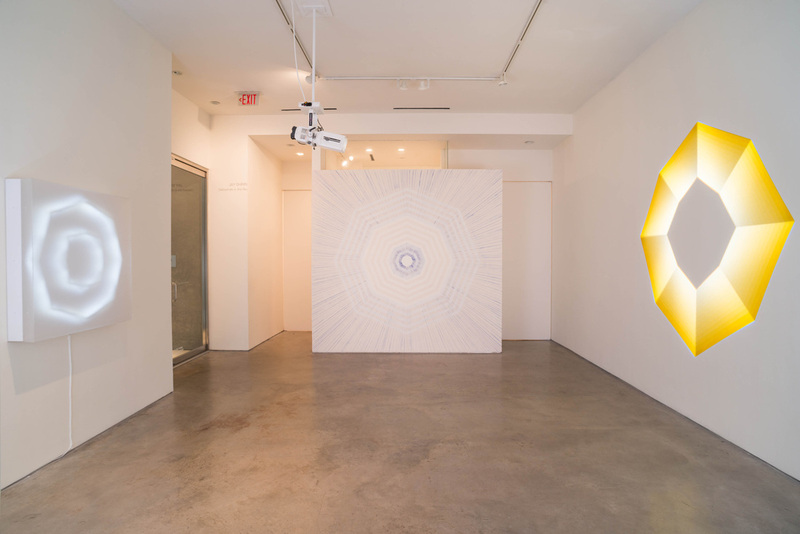 Barbara Davis Gallery is pleased to announce Cathedrals in the Sky, a solo-exhibition by Dallas and New York-based artist Jay Shinn, opening Friday, April 25, 2014, with an artist reception from 6:30 – 8:30PM. This exhibition consists of light projections, neon, and a site-specific wall drawing. 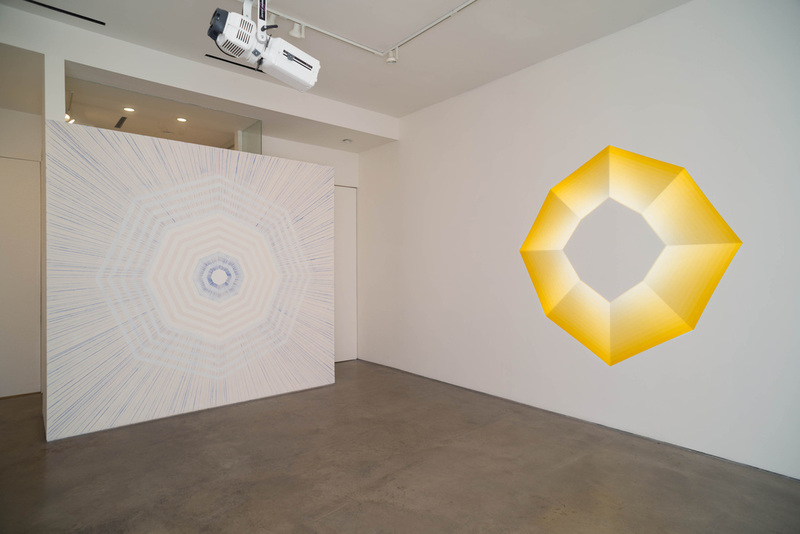 In his exhibition Cathedrals in the Sky, Jay Shinn presents a new body of work that investigates a singular octagonal form through various materials and processes. 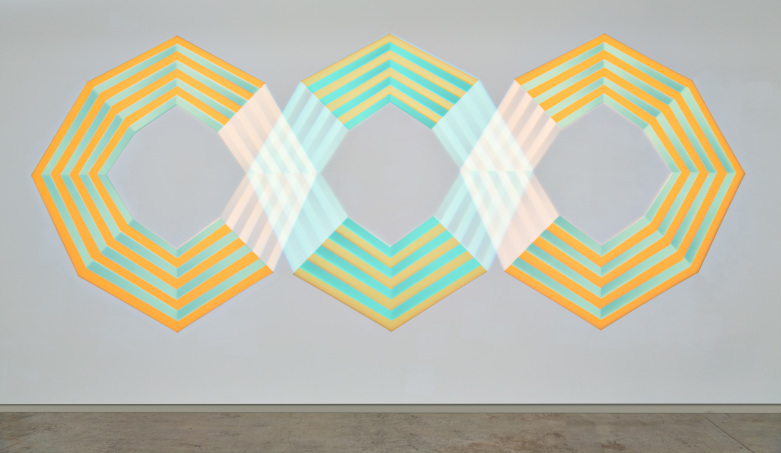 Shinn pushes traditional approaches to painting and geometric abstraction to current boundaries by using 21st century media sources that explore a temporal objectiveness to art making. 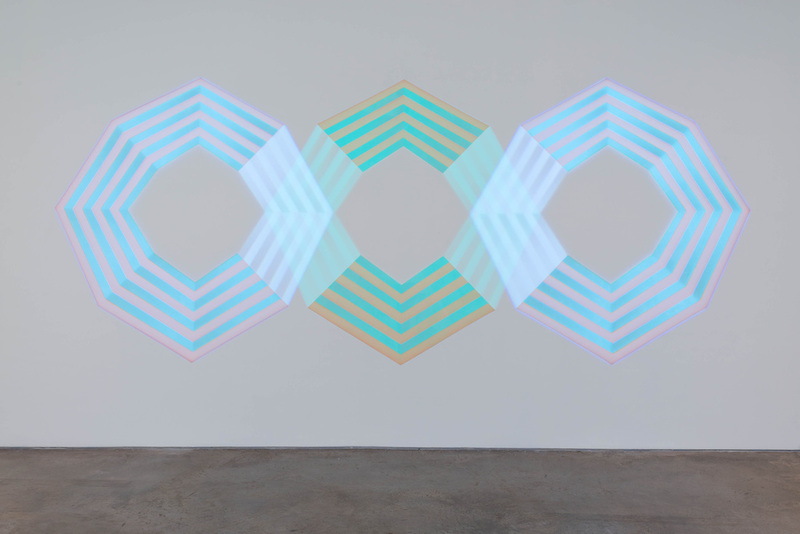 Using light as a central foundation, Shinn creates projection paintings and neon works. The illusions of forms merge together to challenge and question the viewer’s visual perceptions. 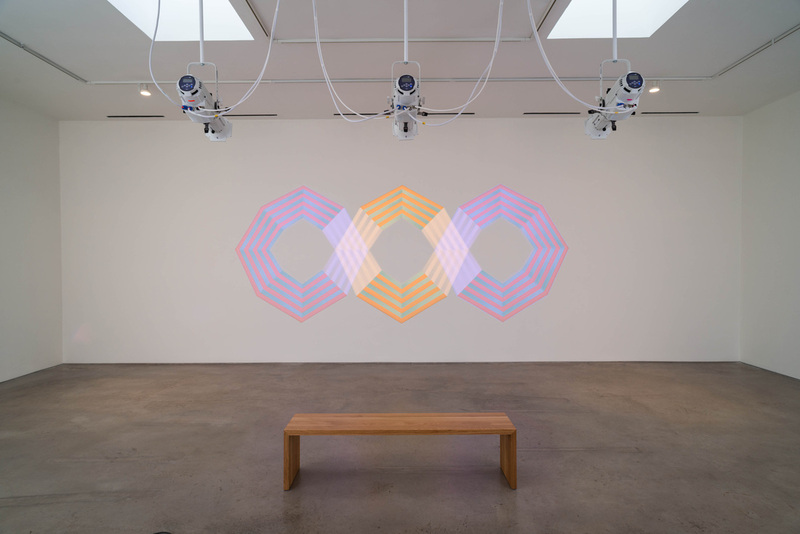 Shinn’s new light projection painting Silent Encore is a three-part image with choreographed color changes within a three-minute loop. The transformation of materials is evident in the large-scale neon works, which reference early European and modern day architecture. 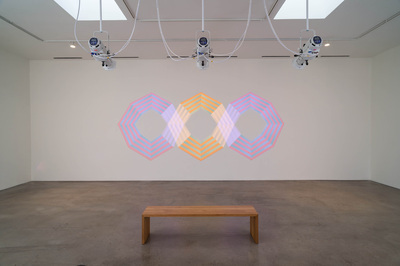 The exhibition introduces both full color as well as monochromatic works driven by their own light. Jay Shinn lives and works in Dallas and New York. He received his BFA from the Kansas City Art Institute and is an alumnus of the Skowhegan School of Painting and Sculpture. His residencies have included the international Art Omi program in New York; Takt Residency, Berlin, Germany; Virginia Center for Creative Arts; and the School of Visual Arts, New York. His exhibitions include Leila Heller Gallery, NYC; the Drake Hotel, Toronto; Marty Walker Gallery, Dallas; Mixed Greens, NYC; Kunstverein Neukoln, Berlin, Germany; Stunden 48, Berlin, Germany; and the Dallas Museum of Art, Dallas. 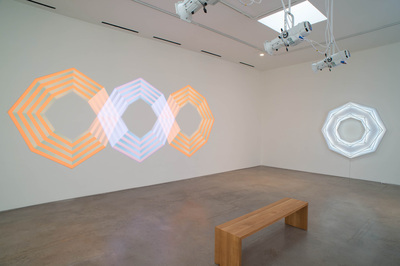 In 2014, Shinn exhibited at Art Paris Art Fair, London 2014, and The Unpainted for new media in Munich. In the summer of 2014, Shinn will have a solo-exhibition at Louise Alexander Gallery, Porto Cervo, Italy and a two-person exhibition at Knoerle and Baettig Gallery in Winterthur, Switzerland. Shinn's work is in numerous permanent collections including DFW International Airport, Houston Hobby Airport, Microsoft Corporation, Fidelity Investments, Tom Ford Collection, Langham Hotel (Chicago), W Hotel (Dallas), and The State Department (Washington, D.C.), among others. Cathedrals in the Sky opens Friday, April 25, with an opening artist reception from 6:30 – 8:30pm. Artist will be in attendance. 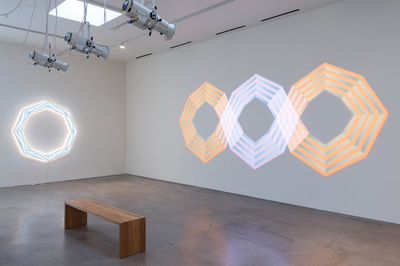 This exhibition is on view April 25, 2014 through May 24, 2014. For more information, please contact Barbara Davis Gallery at 713.520.9200 or info@barbaradavisgallery.com.